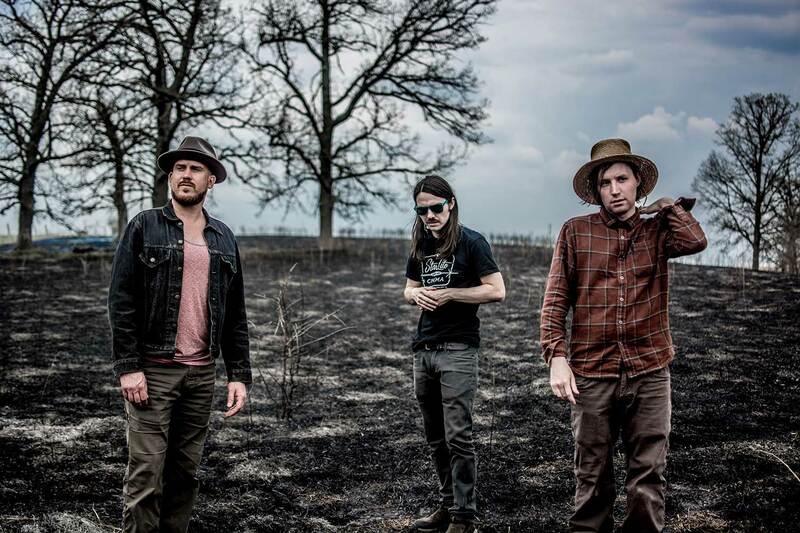 Iowa-born/Minneapolis-based folk rock artists the The Pines have created a loyal following for their lush, layered sound and poetic lyrics inspired by the land and folklore of the American Midwest. Bridging the folk, roots and indie worlds with their modern take on American music, frontmen/songwriters Benson Ramsey and David Huckfelt share a common musical language rooted in the songs and songwriters of their native Iowa, while each bringing a distinct voice and sensibility to a sound that Rolling Stone’s David Fricke dubbed “quietly gripping.” The Pines’ sound balance Ramsey’s ethereal, somberly beautiful songs with Huckfelt’s darkly romantic, cinematic tales for a sweeping sound that evokes the vastness and loneliness of the Great Plains. Their instrumentation blends traditional acoustic instruments with electric guitars, bass and drums. The intricate guitar interplay between Benson and David is layered over the atmospheric keyboard work and vocal harmonies of Alex Ramsey (Benson’s brother) to form the core of The Pines’ instantly recognizable sound.